Lamp post has a 30cm diameter base and stands approx. : 1.8m in height. Two connecting poles and the lamp at the top. 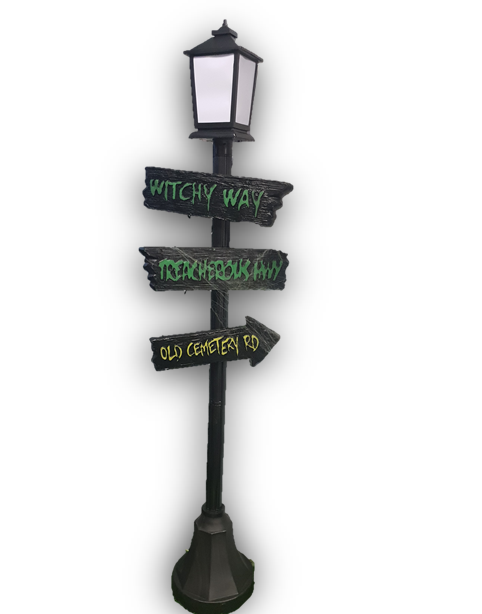 It comes with three clip on signs pointing in different ways and saying things like “Witchy Way”. Signs are approx. : 46cm to 39cm – sound activated. 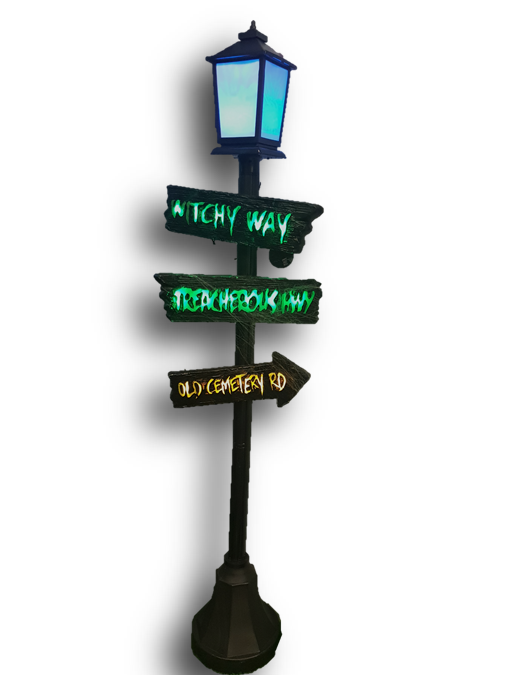 Once connected up the three signs light up in different colours. The lamp lights up with eerie lights and then there are voices speaking -” no no no” as if they are telling you not to go that way. 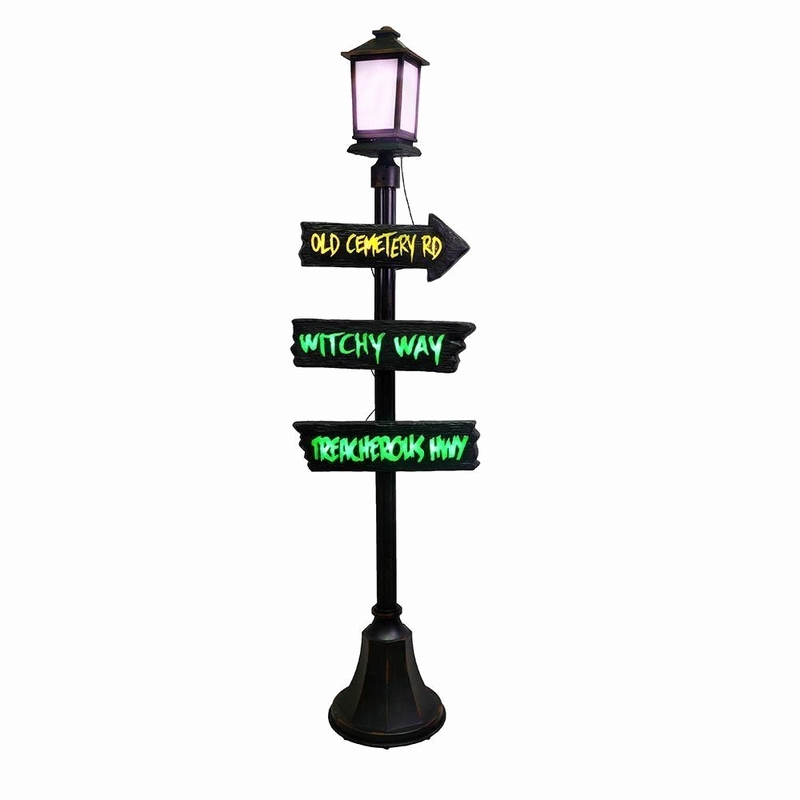 Imagine this in your garden at your Halloween event.